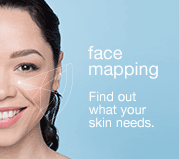 Dermalogica may collect two types of information about you when you visit our site: personal information (including, by way of example only, your name, address, telephone number and email address) and non-personal, aggregate information (such as information regarding the pages on our site that you have visited and your IP address). The only personally identifying information that we collect and store about you is the information that you choose to provide to us. For example, we gather your personally identifiable information when you send us an email or a letter. We will use this information to respond to your email or letter. 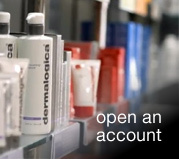 We also may use the information to send you notifications about our products and about Dermalogica events. Dermalogica collects information through “referrers”, IP addresses and various environmental variables. A “referrer” is information the web browser passes along to the Dermalogica web server that references the URL from which you came. The “IP address” is a number used by computers on the network to identify your computer so that data can be transmitted to you. “Environmental variables” include, among other things, the domain from which you access the Internet, the time you accessed our website, the types of web browser and operating system or platform used, the Internet address of the websites you left to visit Dermalogica, the names of the pages you visit while at our website and the Internet address of the website you then visit. We collect all of this information to allow us to detect broad demographic trends, to provide information tailored to your interests and to enhance your experience on Dermalogica’s websites. This website may contain links to other sites. Please be aware that we are not responsible for the privacy practices of such other sites. We encourage our users to read the privacy statements of each and every website that they visit. In general, you should be cautious about providing personally identifiable information to websites unless you trust the owner and operator of the website. This privacy statement applies solely to information collected when you visit Dermalogica’s family of websites. Dermalogica is not targeted to children under the age of 13 and we do not knowingly collect personally identifiable information from any child under the age of 13 without parental consent. When we do receive such information, we delete it as soon as we discover it and do not use it or share it with third parties. We take precautions to protect your personally identifiable information from inadvertent disclosure and intrusion by third parties. Some of these precautions involve technologies like firewalls and secure access. 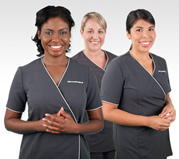 If you have questions about the security at our websites, you can send an email to privacy@dermalogica.com. Dermalogica may amend these terms and conditions at any time. User’s continued use of this website constitutes acceptance of the terms and conditions stated at the time of use. All registered and/or unregistered trademarks and/or service marks (collectively, “Marks”) used or referred to on this website are the property of Dermalogica and its affiliates unless otherwise noted. Users may not use, copy, reproduce, republish, upload, post, transmit, distribute or modify these Marks in any way for any purpose without Dermalogica’s prior written permission. The use of Dermalogica’s Marks on any other website is prohibited. All materials contained in this website are copyrighted except where explicitly noted otherwise. © 2008 Dermalogica, Inc. All rights reserved. User acknowledges and agrees that content, including but not limited to text, software, music, sound, photographs, video, graphics or other material contained in this website (“Content”) is protected by copyrights, trademarks, service marks, patents or other proprietary rights and laws. User understands and agrees that User is not permitted to copy, reproduce, distribute or create derivative works from this Content or use this Content other than as expressly authorized by this Agreement without Dermalogica’s prior, express authorization. User agrees that any materials (including without limitation, stories, text, pictures) submitted to Dermalogica become the sole property of Dermalogica, and that User has no rights of any kind in such materials. To the extent that such materials can not be transferred to Dermalogica, User grants Dermalogica a world-wide, royalty-free, and non-exclusive license to modify, use, display, distribute, sub-license, and publish such materials for any purpose. Dermalogica may provide Users with links to other websites. These third party sites are not under the control of Dermalogica and User acknowledges that Dermalogica is not responsible or liable for any content, advertising, products or other materials available from such third party sites. User also agrees that Dermalogica shall not be liable for any loss or damage of any sort incurred as the result of using any third party’s website. In general, you should be cautious about using materials, including software, provided by websites unless you trust the owner and operator of the website. USER EXPRESSLY UNDERSTANDS AND AGREES THAT DERMALOGICA SHALL NOT BE LIABLE FOR ANY LOSS OR DAMAGE (DIRECT, INDIRECT, PUNITIVE, ACTUAL, CONSEQUENTIAL, INCIDENTAL, SPECIAL, EXEMPT OR OTHERWISE) RESULTING FROM ANY USE OF, OR INABILITY TO USE, THIS WEBSITE, OR RESULTING FROM ANY ERRORS OR OMISSIONS IN THE CONTENT OF THIS WEBSITE, REGARDLESS OR THE BASIS UPON WHICH LIABILITY IS CLAIMED, EVEN IF DERMALOGICA HAS BEEN ADVISED OF THE POSSIBILITY OF SUCH LOSS OR DAMAGE. Dermalogica makes no warranty that this website will meet your requirements or that it will be uninterrupted, timely, secure or error free; nor does Dermalogica make any warranty as to the results that may be obtained from the use of this website or as to the accuracy or reliability of any information obtained through this website. USER UNDERSTANDS AND AGREES THAT ANY CONTENT DOWNLOADED OR OTHERWISE OBTAINED THROUGH THE USE OF THIS WEBSITE IS DONE AT USER’S OWN RISK AND THAT USER WILL BE SOLELY RESPONSIBLE FOR ANY DAMAGE DONE TO USER’S COMPUTER SYSTEM OR LOSS OF DATA THAT RESULTS FROM THE DOWNLOAD OF SUCH CONTENT. UNLESS EXPRESSLY STATED OTHERWISE, DERMALOGICA PROVIDES THIS SITE CONTENT “AS IS” AND “AS AVAILABLE” AND WITHOUT WARRANTIES OR ANY KIND, EITHER EXPRESS OR IMPLIED, TO THE FULLEST EXTENT ALLOWABLE BY LAW. THIS INCLUDES THE IMPLIED WARRANTIES OF MERCHANTABILITY, NONINFRINGEMENT OF INTELLECTUAL PROPERTY, AND FITNESS FOR A PARTICULAR PURPOSE. IN NO EVENT SHALL DERMALOGICA OR ITS AFFILIATES OR CONTRACTORS BE LIABLE FOR ANY DAMAGES WHATSOEVER (INDCLUDING, WITHOUT LIMITATION, DAMAGES FOR LOSS OF PROFITS, BUSINESS INTERRUPTION OR LOSS OF INFORMATION) ARISING OUT OF THE USE OR INABILITY TO USE THE SITE CONTENT, EVEN IF DERMALOGICA HAS BEEN ADVISED OF THE POSSIBILITY OF SUCH DAMAGES. NOTE: SOME JURISDICTIONS MAY NOT ALLOW THE EXCLUSION OR LIMITATION OF CERTAIN WARRANTIES, SO THE ABOVE EXCLUSIONS MAY NOT APPLY TO YOU. User agrees, at User’s expense, to indemnify, defend and hold harmless Dermalogica, its officers, directors, employees, agents, affiliates, distributors and licensees from and against any judgment, losses, deficiencies, damages, liabilities, costs and expenses (including reasonable attorney’s fees and expenses) incurred in connection with or arising from any claim, demand, suit, action or proceeding arising out of User’s breach of this Agreement or in connection with User’s use of this website or any product or service related thereto. This indemnification does not apply to Dermalogica® brand skin care products. This Agreement and the relationship between User and Dermalogica shall be governed by and construed in accordance with the laws of the State of California. Any controversy or claim arising out of or relating to this Agreement or relating to use of this website and the material contained in this website shall be resolved in a federal or state court in Los Angeles County. User agrees that, regardless of any statute or law to the contrary, any claim or cause of action arising out of or related to this Agreement must be filed within one (1) year after such claim or cause of action arises or it will be forever barred.